Plano, TX – October 11, 2018 - The Plano Chamber of Commerce is proud to present the 2018 Citizen of the Year award to Missy Bender, who will be honored at the 2018 Best of Plano awards ceremony on Thursday, November 1 from 6:00 to 10 p.m. at the Marriott Dallas/Plano at Legacy Town Center. Since 1951, the Plano Chamber annually honors an outstanding Plano citizen to recognize his or her personal contributions over a period of years that have contributed to the welfare and advancement of Plano. The award recognizes service rendered through civic, community, or religious work, as well as the recipient’s achievements in business.This year’s recipient embodies everything the prestigious Citizen of the Year award encompasses. Missy Bender was originally elected to the board in 2006 and re-elected to serve her fourth term on the school board in May 2015. Ms. Bender is currently serving her third year as board president; originally elected president by her fellow trustees in May 2016. She also served as vice president in 2015-16 and as secretary from 2008 to 2011. Ms. Bender has served on the Board of Directors for numerous organizations including the Junior League of Collin County, Harrington Homeplace Homeowners Association, Practical Parent Education, and Forrest Outreach Foundation. 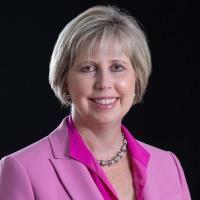 She is a member of various organizations including the Chairman's Council for Texas Health Resources Plano, Plano Metro Rotary Club, Conner Harrington Republican Women Club, National Charity League, Women Making a Difference, Jasper High School PTSA, and the Plano ISD Education Foundation. Ms. Bender is a graduate of Leadership Plano, Leadership St. Andrew, Leadership TASB (Texas Association of School Boards), and Leadership Texas. She was appointed by TASB to the Texas Education Agency as the only Trustee that served on the state's Accountability Policy Advisory Committee. Ms. Bender earned the prestigious designation of "Master Trustee" from TASB; is a Fellow with the Center for Reform of School Systems; was named one of "21 Leaders for the 21st Century" by Inside Collin County Business; received TASB’s Outstanding Leadership Award in 2014; has been honored as a PTA Life Member; and, most recently, received the 2018 Distinguished Leadership Award from Leadership Plano. She is a co-founder of Trustees for Texas, a non-profit organization whose purpose is to create a unified and powerful voice to transform education in Texas. She is also a frequent presenter at state and national school board conferences and has worked with other trustees in the North Texas Regional Consortium to develop a regional legislative agenda. Ms. Bender has served on the TASB Legislative Advocacy Committee and has testified to the House and Senate education committees on behalf of Plano ISD and all Texas school districts. Ms. Bender has represented the district as a member of the Federal Relations Network in Washington, D.C.
Ms. Bender has lived in Plano for 30 years. She graduated from Plano East Senior High School as a member of its charter class and received a bachelor's degree in marketing from Southern Methodist University. Ms. Bender and her husband Doug have been married for 30 years and have one daughter, who is a graduate of Plano West Senior High School. US Congressman Sam Johnson, 2017 Citizen of the Year recipient, will congratulate Ms. Bender on the accolade through a video message, which will be shared on Thursday, November 1 at Best of Plano. Tickets and reserved tables of 10 are available at www.planochamber.org.